The head-spinning stretch of the San Juan Skyway between Telluride and Ouray is flanked by thousand-foot sandstone formations carved by a river lined by willows. I pulled over at the Dallas Divide unable to pass by the breathtaking sweep of rusty sedges at the base of Dallas Mountain. Its flank was clad in velvet green pine splotched with aspens spinning gold and its ghostly peak pierced tender blue skies. I took a moment to breathe deeply of our fast vanishing American Heritage. The promise of the mineral hot springs held sacred by the mountain Utes for their healing powers pulled me forward. The Ute Indians, unlike the sedentary Pueblo peoples, were nomadic hunters and gatherers that dominated this lofty realm from1500AD until 1873 when they were overrun by gold-thirsty miners. 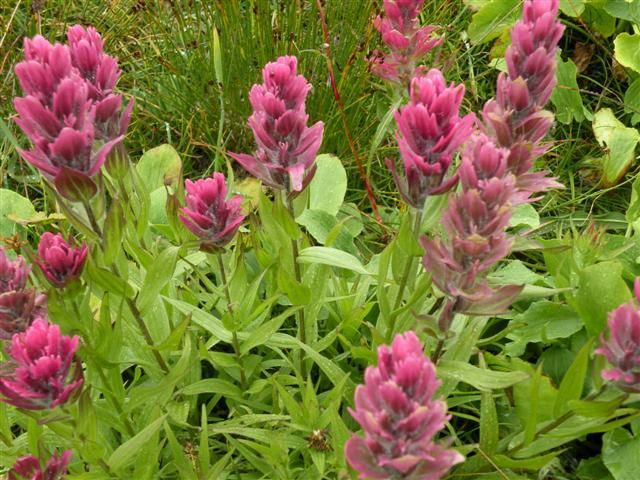 Each spring when the Utes arrived in the Uncompahgre River valley they performed the Bear Dance celebrating rebirth-a coming out party for all of Mother Nature\’s rich gifts. They also enjoyed the healing vapors in the cave that is now overseen by the owners of the Weisbeden Lodge in Ouray. You can pay to visit if you are not staying at their inn. The town is named after the great Chief Ouray who wisely led his people out of the valley when he realized they were out matched by the lure of the rich mineral deposits in the mountains held sacred by his people. There is a museum in nearby Montrose that honors him and is worth a visit. With a sigh I settled into the steaming waters at Orvis Hot Springs six miles outside of Ouray. Today eight pools in an elaborate garden setting with temps ranging from 99-106 await the weary traveler. Clothing is optional, but the communal relaxed atmosphere where the human anatomy is taken for granted felt comfortable. My next restorative measure was to stop at Ouray Massage Therapy where I received a warm aloha from owner BJ who gave me a traditional Lomi-Lomi Hawaiian massage setting the mood with songs of the Islands. I drifted into a deep sleep that night at the Secret Gardens Bed and Breakfast to the soothing murmur of the Uncompahgre River flowing nearby. I awoke to the smell of coffee and a made-to-order breakfast prepared by my gracious hostess, Sara. Ouray sits in a box canyon surrounded by a chalky white amphitheater of rock that glows pink at day\’s end. The gentrified Victorian village of 1,000 year-round residents is backed by Mt. Abrams, a Matterhorn look alike when cloaked in snow. 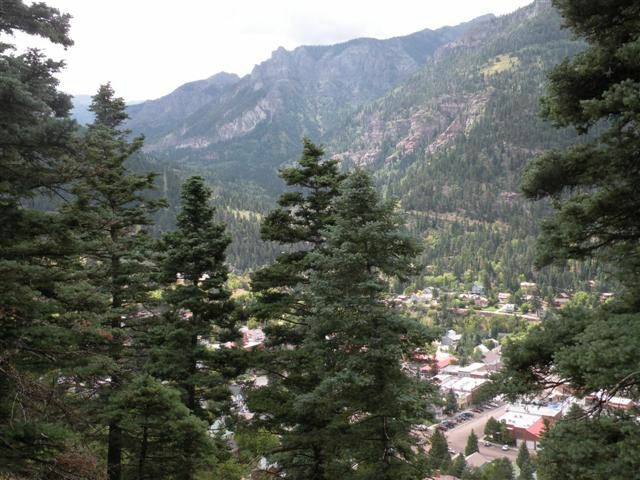 The four-mile Perimeter Trail that encircles Ouray is a great way to see sights like the triple-tiered Cascade Falls and Box Canyon Falls that have carved an elaborate cave in two-billion-year-old basement rock. But, the easiest way to get into the sublime alpine setting is to head to Bach\’lers Staples. Fencepost, a remnant of the Old West filled with cowboy wisdom, was waiting for me there with his mellow mule and Bluebell, my mount for the day tacked up for our ride. Most of the trails in Ouray are vertical climbs up the face of daunting mountains to majestic vistas. Letting our mounts take time to “blow” we clambered higher and higher on switchbacks through “quakies” and gambel oak blushing pink-a nod to fall in the air. 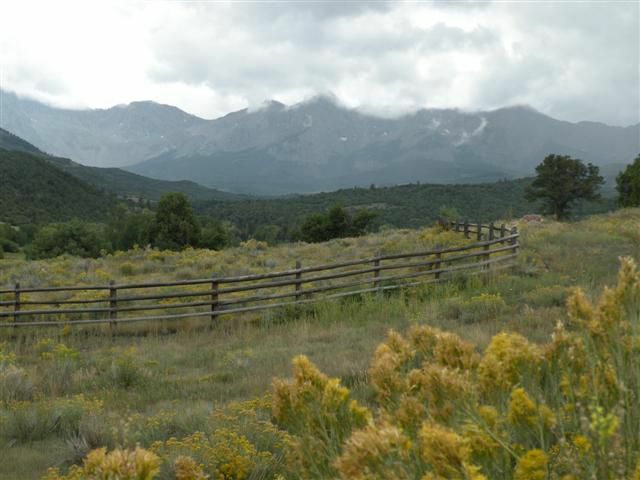 We crested a ridge with a panoramic view of the Uncompahgre River Valley with its patchwork of green pastures and spacious home plots. 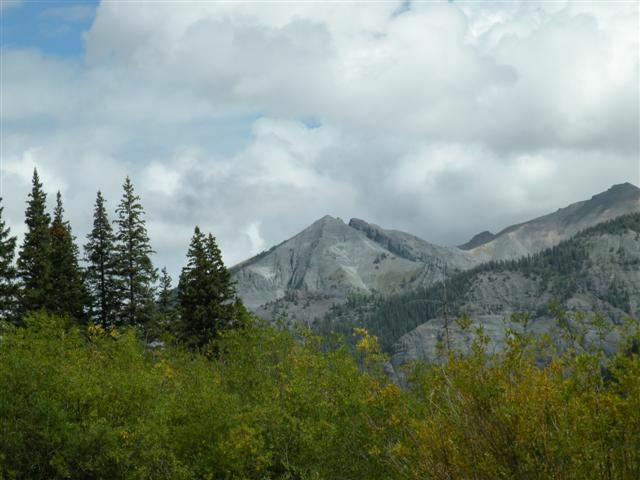 Still ahead was the Million Dollar Highway, a 23-mile engineering marvel blasted through Red Mountain Pass. In 1883 Otto Mears, a plucky little man dubbed the pathfinder of the San Juans, built the death-defying toll road from Ouray to Silverton often closed due to avalanche or rockslide. Some find the modern two-lane byway through vermillion peaks to be a white knuckler, but compared to the Beartooth Highway in Montana, it is a well-maintained meander through ethereal alpine splendor. You pass by translucent Cascade Lake and remnants of mine shacks clinging precariously to barren, steep slopes. 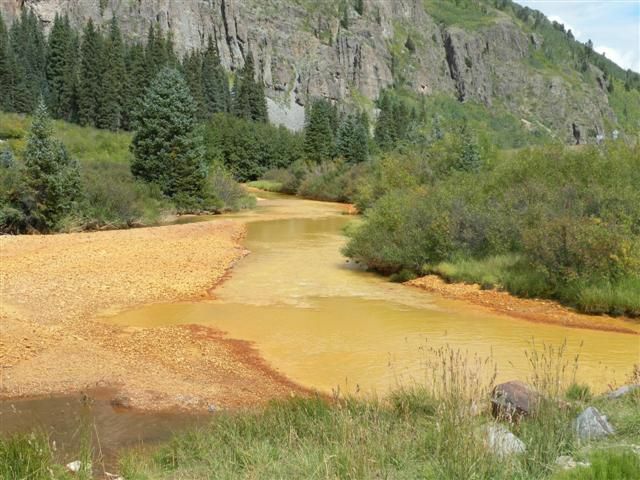 Ironton, a mining ghost town along the way to Silverton, is worth a stop with easy leg-stretcher trails to explore. In the mining heyday, 4,000 people lived in Silverton which rests at 9,600 feet in the belly of a caldera. Ladies of negotiable affections, gambling parlors, and saloons that never closed populated the berg connected to the world by the Silverton-Durango Railroad. Many a gunfight took place in the saloon of the Grand Imperial Hotel. The hotel has been renovated and though her glory is a bit faded, she is still a grand place to stay. Ice Lake Basin is the signature hike in Silverton and one I wanted to take, but it is seven hours in and out to the fabled wonderland of wildflowers and waterfalls, so I opted for a 4×4 ride up the precipitous mining roads to Clear Lake. Bob with San Juan Outback and I headed up South Mineral Creek river valley. We bounced our way up a rutted road that opened to wild vistas that took in Ice Lake Basin in the distance. I chose to look out but not down as Bob picked his path around boulders in the narrow track. A pumpkin orange stream trickling over rocks from a “glory hole” deserted a century ago crossed our path. We stopped to examine the closed shaft and some rusted out mining equipment. These mountains are honeycombed with miles of tunnels. It is almost unimaginable to think about the effort expended to get equipment up such steep, treacherous terrain-not to mention building roads and hauling the ore back out! The museum in Silverton has an extensive display of mining equipment, crystals, and other minerals found in the region along with photos of the men who often died working in the mines. Onward and ever higher we climbed past a sparkling cascade to Clear Lake, a glacier cirque surrounded by massive granite guardians. Here at the top of the world (11,500 ft) it is still; the air is pure, it is eerily quiet, and I felt a bit closer to God. Columbine, rare burgundy paint brush, monk\’s head, skunk cabbage, and Queen Anne\’s Lace grow in profusion by the edge of the ephemeral waters. Gray clouds began to swarm over the mountains, so we high-tailed it back to Silverton where all the shops were having end-of-the-season sales. I had lunch with Bob at the Black Bear Café where bikers were fueling up for the day\’s ride and locals were swapping stories. The storm set in for the kill on the last leg of my journey, but the sun shone brightly in bluebird skies when I arrived at the Strater Hotel. This lavish Victorian landmark dominates the corner of Main Street in historic downtown Durango and is furnished with priceless antiques. The tinkle of a ragtime piano called me down to the Belle Star Saloon where pretty barmaids wearing fish net stockings stuffed dollar bills under their garters. The crowd was raucous, the drinks half-price. The last whistle blast for the day from the train heading for the round house marked the end of my Wild West wander.